Our actions represent our life choices and beliefs. For this reason, we produce a flour that interprets the lifestyle of our customers. iL LABORATORIO® is the academy where you can add an extra value to your skills. You can invest in your business, your staff and in your products. iL LABORATORIO® offers you top quality training, real and practical knowledge and an opportunity to exchange ideas and opinions with like-minded professionals. Good quality is never achieved by chance. iL LABORATORIO® is organized and run by the Molino Quaglia milling company, a unique example in Italy. It hosts Petra’s R&D Department and it is used to spread knowledge about flour, yeast activity, dough preparation, but also the production, promotion and sale of artisanal bakery products. For over ten years, the academy has been organizing different courses: Università della Pizza, Accademia del Pane and Pasticceria Dinamica. But it also organizes dozens of other thematic courses for bakery, pastry and pizza professionals. To conclude, iL LABORATORIO hosts two annual symposiums: PizzaUp (the annual Technical Symposium on Contemporary Italian Pizza) and Pastry Best ( the Technical Symposium on Contemporary Italian Pastry). These events see the participation of Italy’s biggest culinary and wine experts. Molino Quaglia organizes unique pizza training courses, offering a preliminary preparation for Università della Pizza. In these courses, food professionals learn how to prepare recipes, focusing their attention on dough mixing and stretching, and baking techniques. An opportunity to go beyond tradition and learn how to prepare pizza, from dough preparation to the choice of toppings and seasoning. Molino Quaglia’s pizza training courses offer a professional growth for pizza chefs and encourage them to develop their creativity, giving them the opportunity to make a name for themselves and maybe even feature in the best gastronomic guides. Università della Pizza is a community of pizza chefs that believe in constant professional growth, willing to take risks in order to offer high quality products to their customers. Chiara Quaglia and Piero Gabrieli started this project for Petra Molino Quaglia in 2006, their aim was to create an easily digestible pizza with a well-balanced taste. They also wanted to provide pizza professionals with advanced marketing tools in order to find the best way to promote their products and expertise . Molino Quaglia offers courses over four levels. They allow food professionals to learn how to choose the best ingredients and how to master different dough mixing, leavening and baking techniques. Close attention is paid to the seasonality of ingredients, which are prepared from scratch by students during the lessons. The courses are also designed to train students in business management, staff management and online communication strategies. Every year, Università della Pizza organizes Pizza Up, the first and only Technical Symposium on Contemporary Italian Pizza. This event draws pizza chefs, cooks, journalists, representatives of the academic and agricultural world and offers them the opportunity to work together in order to innovate contemporary Italian pizza. And during the 2012 edition of Pizza UP, the most important personalities in Culinary Art created and signed the Manifesto of Contemporary Italian Pizza. We believe that it is fundamental for food professionals to master different dough mixing techniques (direct, indirect, live sourdough or biga) and learn how to use different kinds of wheat, cereal or sprouted seed flour. This basic knowledge allows food professionals to create easily digestible, natural and high quality products. For this reason, Molino Quaglia organizes unique training courses that teach food professionals how to prepare a wide range of bakery products using the tools they already have in their kitchens. Accademia del Pane was born with the challenging goal to innovate the traditional bread making approach which is no longer in line with contemporary consumers’ needs. The Academy is the only reality in Italy which provides bakers with practical techniques to change their production systems and adopt organizational schemes that differ from the past. The recipe is simple: flour, natural yeast, water and salt. The Academy promotes the rediscovery of ancient traditions and techniques, using only top-quality ingredients in order to obtain bakery products that are easy to digest and rich in taste. To achieve this important goal, Accademia del Pane organizes COMUNIPANE, the Technical Symposium on Italian Bread. Molino Quaglia welcomes a team of specialists, composed of nutritionists, university lecturers, food technologists, and experts of the baking industry. They work together using a multi-disciplinary approach to create new production methods in order to improve the taste, the digestibility and the shelf life of the bread. In 1998, Molino Quaglia created a flour line dedicated to artisan pastry. Prior to this line, bakers used only two varieties of flour: strong flour and soft flour. But with the Molino Qualglia’s new flour line, they discovered that there was a specific flour for each bakery product: shortcrust pastry, puff pastry, Italian sponge cake, and so on. These types of flour are able to enhance the aesthetic qualities of pastry products. However, contemporary bakers sometimes are more concerned with the external appearance of their pastry products, neglecting their taste. This results in a lack of balance in flavor. Pastries and cakes result overly sweet, and the richness of taste is preferred to the attention to details in the choice of natural ingredients. Vibrant and artificial colors are favored over more natural and authentic ones. On the contrary, Molino Quaglia sees bakery in its entirety, it goes beyond the strict division between sweet and savory food. We respect the natural and authentic taste of ingredients, embracing the culinary approach of the well-known Sicilian Pastry Chef Corrado Assenza. For Molino Quaglia, it is fundamental to combine technical knowledge, sensibility, and taste. Since 1998, we have been working hard to create the best flours and the best techniques to prepare top-quality pastry products. We have built an open dialogue with hundreds of pastry chefs that have studied in our Academy, learning from them as well. Our courses promote a contemporary approach to pastry-making, seeking a well-balanced taste and respect for the main ingredient, flour. Our courses are based on the experimentation of new recipes in order to create simple and healthy pastries that can be enjoyed without feeling guilty. Pasticceria Dinamica is an initiative of Molino Quaglia that helps pastry chefs promote the quality of thier products among their customers. We are redefining the role of pastry chefs in contemporary society, taking into consideration customers’ needs, expectations and health. Nowadays, customers want a complete experience when entering a pastry shop. They are looking for both great taste and remarkable customer service. Our training courses offer pastry chefs the opportunity to develop their entrepreneurial and communicational skills while learning how to prepare an array of tasty sweet and savory products with balanced caloric values. Molino Quaglia’s courses teach pastry chefs how to choose raw materials respecting their seasonality and studying their interactions with our body, in order to exalt the final taste of pastry products. This fundamental knowledge and the creativity of pastry chefs lead to the creation of top-quality products which are competitive on the market and enhance pastry chefs’ reputations. Bread making is an antique tradition. However, it changes over time and space in response to people’s lifestyle and, at the same time, it influences people’s culture. The courses organized by Molino Quaglia use a contemporary approach to bread-making which considers bread a simple, light and healthy food, the basis of the human diet. At Molino Quaglia, we have developed natural leavening and mixing methods which combine innovative techniques, technologies and a vast choice of flour varieties and cereals. This approach simplifies the daily work of bakers and improves bread quality. It is not enough to produce a good product, you need to know how to promote and sell it. It is fundamental to take care of every aspect of your business: pre and post sales assistance, customer service, food presentation techniques, and staff training and management. The last aspect is very important because it allows the owner to built a great team. Communication is also vital to the success of a business, for this reason we decided to include marketing courses in our School programme. We want to help food professionals focus on the values they want to convey with their products. Different kinds of bread, focaccia, fresh breakfast pastries and other bakery products enrich the food selection on the menus of top-quality restaurants and hotels. However, both restaurants and hotels do not have the same working tools and spaces as bakery, pastry or pizza shops. Molino Quaglia haute cuisine courses have been specifically designed to accommodate the need of chefs and their restaurant or hotel kitchens. In our School, we teach how to use top quality ingredients and specific techniques that are cost effective and can be easily incorporated into existing businesses. We also offer fresh pasta training courses for food professionals. In the classroom of iL Laboratorio many food professionals are paying close attention to the lesson, they are all wearing the white jacket and the hat. They are ready to take notes and to observe everything with curiosity. An heterogeneous group of people, coming from different working background but all united by the same passion for food. The event is called “Cinque stelle in cucina” and it is led by fellow professionals. They are not big names of the food industry, but they are successful businessmen and talented chefs. They run their businesses producing top-quality products and they know how to communicate their values. The editorial staff of Dolcesalato is here today to take part in the event and experience the concrete steps forward of iL Laboratorio, the school of Molino Quaglia. A place where talented pastry, bread, and pizza chefs can improve their technical skills and take their businesses to the next level. Five years ago, Chiara Quaglia, president of Arte Innovativa degli Alimenti, explained the reasons behind the creation of iL Laboratorio to Dolcesalato: "We wanted to restore the importance of bread in the human diet. The use of flours in bread-making is almost an artistic activity. We did not want it to become completely industrial, we wanted to save its artisanal characteristics." Five years has passed. Is the mission of iL Laboratorio changed during this time? The main mission of iL Laboratorio is still the same. We organize events, courses and meetings to share our practical knowledge on food production, especially bread-making. However, we are aware that nowadays quality is fundamental to compete in the food market, but it is not enough. It is very important to learn how to promote and present products at their best, in order to be able to sell them. The competition is strong, if we take into consideration the large-scale and also the small-scale organized distribution. For this reason, it is not enough to choose top quality ingredients and use artisanal techniques. Food artisans need to communicate the added values of their products. Doing so, the consumer will understand the real quality of artisanal products and will be interested in buying them. Food market is rapidly changing. We want to help food artisans find their new dimension in this ever-changing market, adapting to the lifestyle of customers. Differentiating their offer is the key factor to succeed in the market. Complying with health and safety regulations, artisans should create a space in their shop where customers can sit down, relax and enjoy their products. If we consider a pastry shop, its activity starts in the morning during breakfast time and it continues with aperitifs before and after the lunch break, until its time to close. The most important thing is to attract customers offering top-quality products that differ significantly from others on the market. In order to do so, food artisans need to pay attention to details, from the packaging, to the food presentation, but it is also very important to take care of shop interior decoration, the atmosphere, and a friendly staff. What are the strengths of contemporary bakery and pastry-making? Bakery and pastry products are rightly considered treats, however they do not have to damage the health of customers. In other words, a pastry can be a caloric food, but it must not cause digestive problems, with negatives consequences on people’s health. Customers need to be free to enjoy their treats, sweets and desserts and feel that they have eaten something natural, something prepared using top-quality ingredients and artisanal techniques. It sounds like the perfect starting point for the development of artisanal businesses. 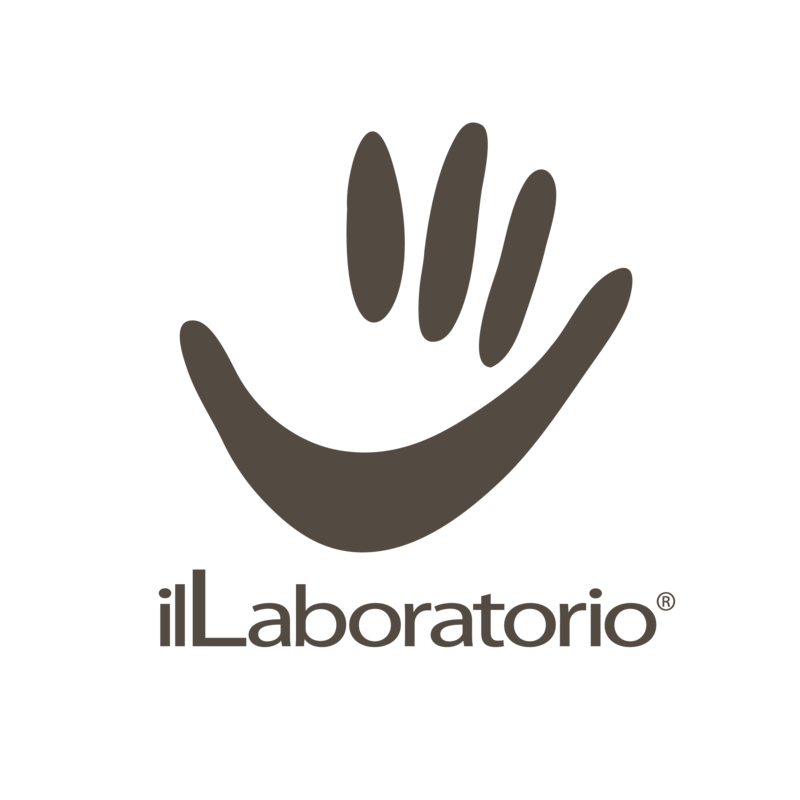 How can iL Laboratorio® help food artisans? iL Laboratorio is in close contact with the food industry. For this reason, it can experiment with raw materials and design innovative products, to respond to food artisans’ needs. Top-quality raw ingredients are the basis for the development of healthy and competitive products. And we extended this concept not only to chefs, but also to bread, pastry, and pizza makers. Customers need to know the quality of what they are eating, and food artisans need to be able to explain the quality of their products. 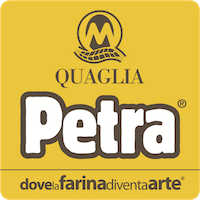 For this reason, Molino Quaglia created a new line of stone milled flours, called Petra. The large-scale distribution of refined and standardized wheat flours led to the loss of nutrients, vitamins and mineral salts in this ingredient. Instead, all these elements are present in Petra flours, which give a full-rounded flavor to bakery products, allowing the food artisan to use less sugar and fats, for a healthier final result. Molino Quaglia provides food artisans with an ingredient that represents its values and philosophy. But what is Petra exactly? And what do you consider to be its major advantages? We use the traditional stone-milling method in our modern industrial milling plant. In this way, we are able to solve the problems of traditional stone milled flour in terms of safety and stability, while preserving the organoleptic values of wheat grain. Petra is not a stone milled flour like any other. It has a well-rounded flavor and taste, and, thanks to its technological characteristics, it can be used to prepare different products. Each flour of Petra line exalts the gluten and protein content of the wheat grain it originates from. We do not consider the strength of the flour as the only indicator of quality, we also value the gluten content. In the past, only the quantity of gluten was taken into consideration, but here at Molino Quaglia we measure also its quality. In doing so, we are able to provide top-performing specialist flours, that can stand different production processes. How do you choose your teaching staff? We choose professionals that share our view on the market, our production philosophy, and our way of developing recipes. We choose food artisans that run their own business because they have a complete understanding of the food industry. We propose very concrete ideas. For example, not only do we teach recipes, we also provide our students with a complete selling plan for each of them. We take care of all the details, from packaging, to food presentation, form the pairing with different drink options to the calculation of sales prices and costs of production. What do you have in store for food artisans in 2009? We want to keep developing the main concept behind Petra: the search for a flour that has a full-bodied and natural taste in order to obtain a dough with strong and distinctive characteristics. We want to go beyond the concept of a colorless, odorless and tasteless dough. On the contrary, we privilege an aromatic dough, which maintains a particular and distinctive texture. How can food artisans face the current and future economic crisis? In order to overcome the crisis and foster future development, food artisans need to personalize their business in terms of product choice, packaging, customer service, etc. There are different fundamental aspects to take into account in order to face the economic impasse, and we deal with them during our lessons in the School. We pay attention to the choice of raw material , staff management, the depreciation of tools and equipment, marketing activities according to the size and type of business.